Orange County, FL – Beginning January 1, 2016, homeowners in unincorporated Orange County will have a new curbside collection program. Tuesday’s vote by the Orange County Board of County Commissioners in support of 1-1-1 Automated Garbage and Recycling Collection will usher in a number of changes for the County’s homeowners. These include a new, 95-gallon County-issued roll cart for garbage, a second 95-gallon roll cart for mixed recyclables, and a reduction in the frequency of garbage collection from twice a week to once a week. Additionally, under this contract, haulers must switch to compressed natural gas (CNG) fuel vehicles within 18 months of the contract execution. Collection vehicles fueled by CNG are quieter and generate less pollution. County-issued Roll Carts: Between October and December, homeowners will receive two 95-gallon roll carts, one for garbage and the other for mixed recyclables. Each easy-to-use roll cart will be black with a green and blue lid for garbage and recycling, respectively. The roll carts must be used starting on January 1, 2016. Until then, the roll carts should be stored. Residents will be asked to keep their roll carts for 90 days before making a request to change the size. Homeowners who are disabled and are unable to take the roll carts to the curb may apply for rear-door service. Those who qualify will receive this service at no charge. Recycling: With the new 1-1-1 Automated Curbside Collection Program, homeowners will no longer need to separate their recyclables. The new recycling process will allow homeowners to place their recycled items together into the large County-issued roll cart with the blue lid for collection. Each recycling roll cart will be imprinted with a list of items that are both accepted and not accepted for recycling. Bulky Item Collection: Beginning with the official launch of the new 1-1-1 Automated Curbside Collection Program in January, when discarding up to three cubic yards of large, bulky items, homeowners will need to schedule a day for the item(s) to be collected by calling the Solid Waste Hotline at 407-836-6601. Bulky, large items include furniture, appliances, mattresses, automobile tires (limit 4), rear-projection televisions, and other items that don’t fit in the roll garbage cart. Collection Schedule: With the new 1-1-1 Automated Curbside Collection Program, homeowners will receive garbage, recycling, and yard waste collection once-per-week. Bulky, large item collection will no longer be picked up weekly; homeowners will need to schedule pickup by calling the Solid Waste Hotline at 407-836-6601. Finalized collection schedules will be distributed to homeowners beginning in November. There must be at least 3 feet of clearance around the roll cart at curbside in order for the trucks to pick up the roll carts. The roll carts should be placed on the opposite side of the mailbox, away from parked cars and low-hanging tree limbs. The handles should face the house and be turned away from the street. 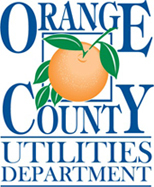 To speak with someone concerning questions about the new 1-1-1 Automated Garbage and Recycling Collection program, please call the Orange County Utilities Solid Waste Hotline at 407-836-6601. Information about the changes to the collection program will also be provided to residents over the next several months by mail, through social media, with their roll carts, and at the www.ocfl.net/GreenClean2016 website. Additionally, community meetings will be scheduled and publicized soon.